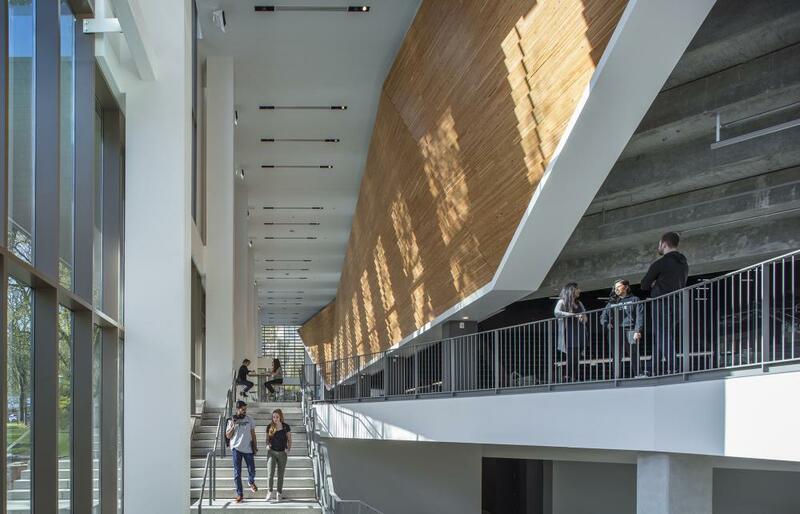 Portland State Conference & Event Services has a dynamic portfolio of event spaces available to meeting and event planners in the heart of downtown Portland, Oregon. 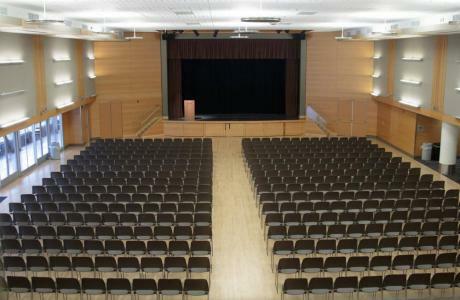 With an arena that can accommodate up to 3,400 guests (Viking Pavilion at the Peter W. Stott Center), an 8,500-square-foot ballroom (Smith Ballroom), 20 designated breakout rooms and over 140 classrooms, our event spaces transform to meet your needs. From intimate gatherings to large-scale events, our venues are perfect for conferences, banquets, receptions, lectures, sporting events, commencements, concerts, trade shows and more. Catering and private dining options are affordable, local and sustainable. 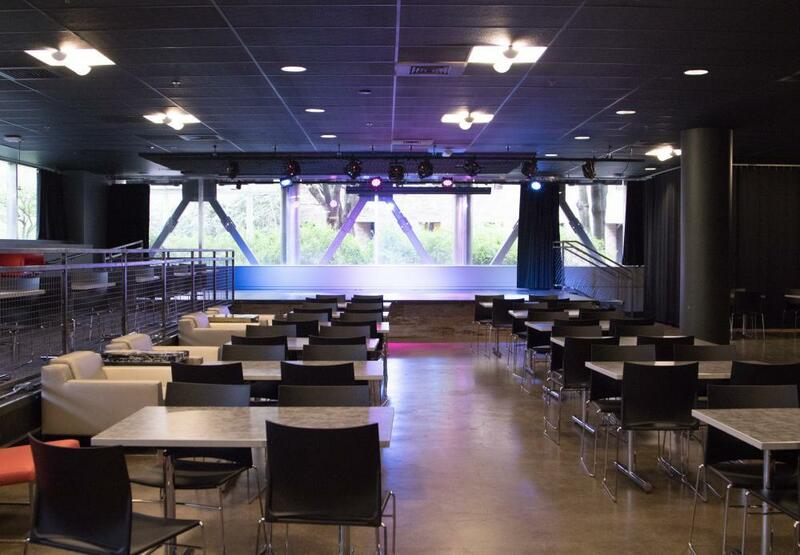 We also offer audio visual support, free Wi-Fi, on-site ticketing, convenient parking, event childcare, exercise facilities, and overnight accommodations. 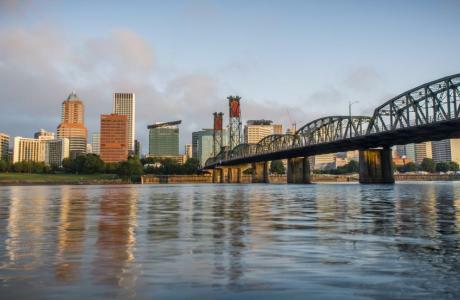 Mix business with pleasure by walking, biking or taking Portland’s renowned public transit to dozens of can’t-miss attractions. 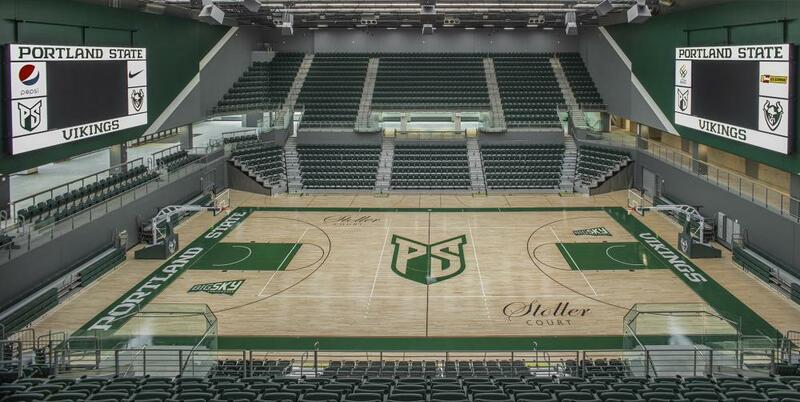 Portland State University is surrounded by theaters, restaurants, food carts, brew pubs, shopping (no sales tax! ), museums, galleries and other cultural attractions. We welcome guests from near and far. Easily accessible from Interstate 405 and via public transportation, the Viking Pavilion is convenient for Oregonians as well as visitors traveling by train to Portland Union Station or flying into PDX, America’s best airport. 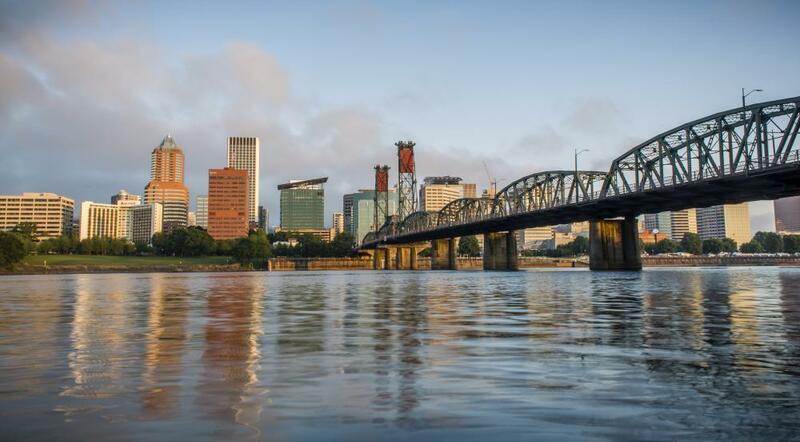 Let us help you with your Oregon conference and event needs, and show you why Portland is one of America's best cities! In downtown Portland. Salem, Oregon, Vancouver, Washington, Eugene, Corvallis, Bend, Seaside, Astoria, Cannon Beach, Seattle, Medford, Roseburg, Albany, San Francisco, Spokane, Olympia, Tacoma. Primary availability mid-June through mid-September, with availability throughout the year for smaller groups. Internet connectivity in all Portland State meeting rooms. Teleconferencing, videoconferencing and computer labs available. Hoffman Hall high tech presentations for 400 ppl. On-site café, catering and private dining featuring local Portland cuisine. 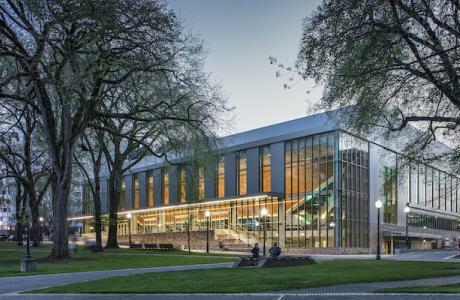 Viking Pavilion	 Nestled in the heart of downtown Portland, the OHSU-sponsored Viking Pavilion Regional Event Center can accommodate up to 3,400 guests and is perfect for sporting events, commencements, trade shows, conferences, dinners, receptions, lectures and more. Smith Memorial Student Union	 Committed to providing outstanding hospitality and service to clients and guests, Smith Memorial Student Union is your first stop for planning your next conference or event. 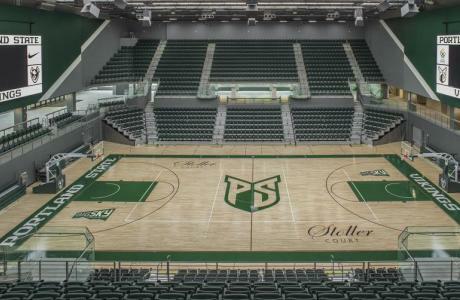 PSU Caters can accommodate any size, theme or individual requirements in virtually any on- or off-campus location. Smith's Place, located on the first floor of the Smith Memorial Student Union, is the only place in town that offers four local Portland favorites: Stumptown Coffee, Steven Smith Teamaker, Salt and Straw Ice Cream, and Roman Candle Bakery. Smith's Place will also feature handcrafted sandwiches from Butcher and Baker and an assortment of On The Go salads, wraps, and sandwiches. Inspired by Pine Street Market, Smith's Kitchen in the Student Union offers a unique cityscape of food and beverages that celebrate all things Portland. Savor local favorites including Smith Teamaker and Cha Cha Cha. Try something new at Simply PUUR and 503 Burger, run by PSU Eats. A modern café in the Viking Pavilion with a versatile menu. From a bistro or restaurant to an event catering and staging area, the Versa Café can transform to meet your event needs. The Versa also serves athletic and event concessions including beer, wine and small plates. America's best food city (per the Washington Post) offers farm-to-table dining, innovative food carts, acclaimed craft beer, stellar coffee and more. Visit the Travel Portland website to explore Portland's food cart options. 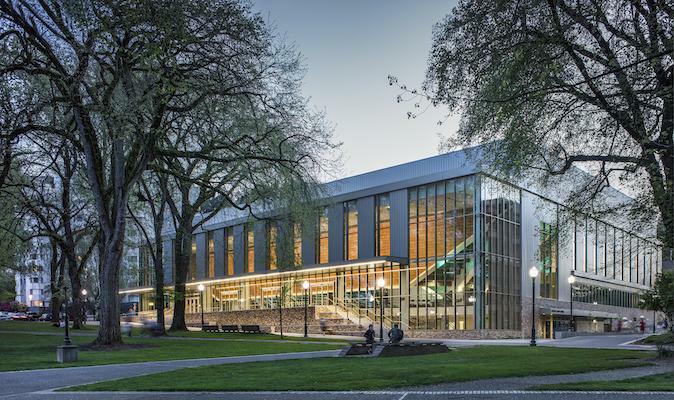 Campus Rec	 On-site exercise facilities at PSU’s Campus Rec Center are available to guests of Portland State Conference & Event Services. PSU's beautiful, modern gym is located in the heart of campus on the Urban Plaza. Enjoy our pool, spa, climbing center, fitness studios, sports courts, cardio machines and weights. 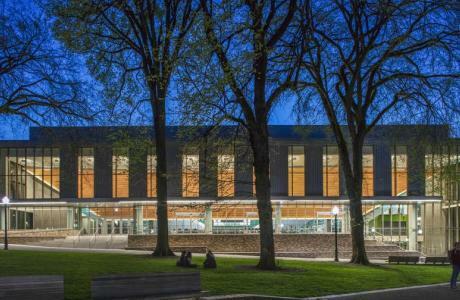 Event Planning Services	 Committed to providing outstanding hospitality and service to clients and guests, Portland State Conference & Event Services is your first stop for planning your next organizational meeting or international conference at Portland State University. 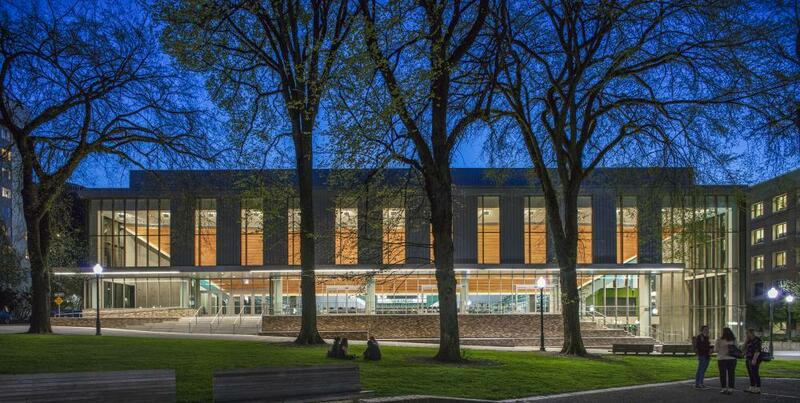 Ticketing	 The Portland State Box Office is your one stop shop for all things tickets! Located just inside the Broadway entrance of the Smith Memorial Student Union, we are here to serve as the first step to your next adventure. 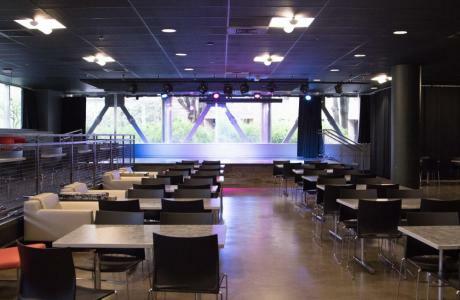 Audio Visual Services If you are hosting an event on the campus of Portland State University that requires audio visual equipment, the Campus Audio Visual Event Team (CAVET) is here to assist you. We work closely with Video Production Services (VPS), Auxiliary services, the Event Logistics Team (ELT), and other campus entities to coordinate A/V support for events. Visit PSU's Audio Visual Services webpage for more information.